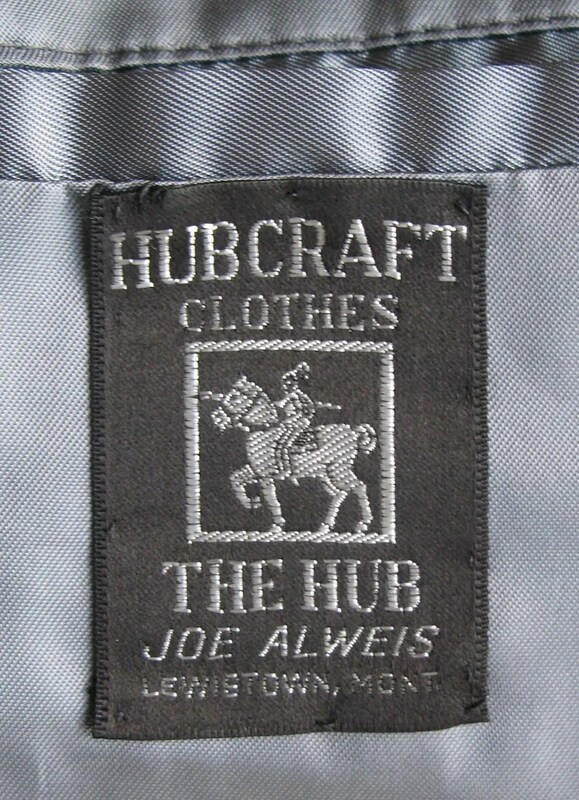 This vintage overcoat was made in the 1950s under the Hubcraft label for the Lewistown, Montana location of The Hub department store, owned by Joe Alweis. 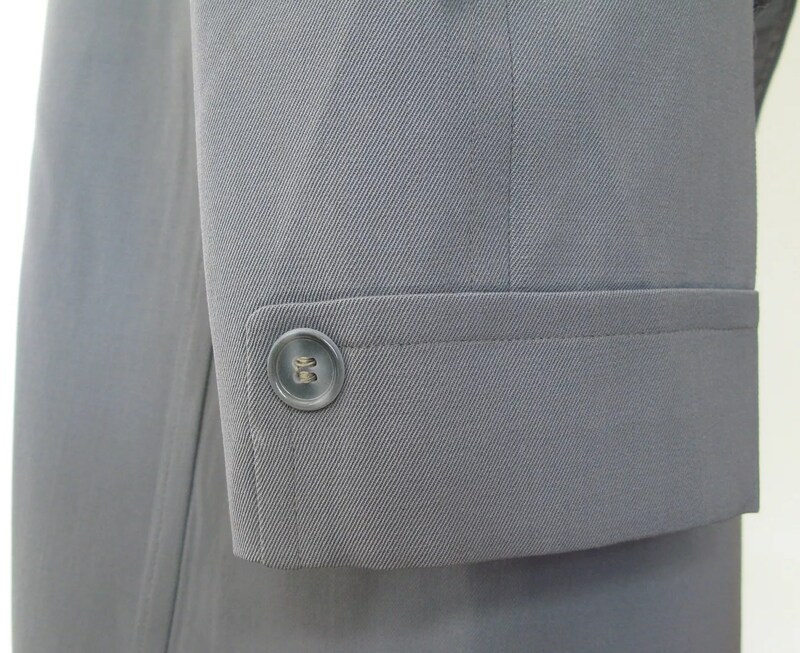 The coat is made of blue gabardine and has wide Bold Look lapels, a three button fly front, cuffed sleeves and a plain, vented back. 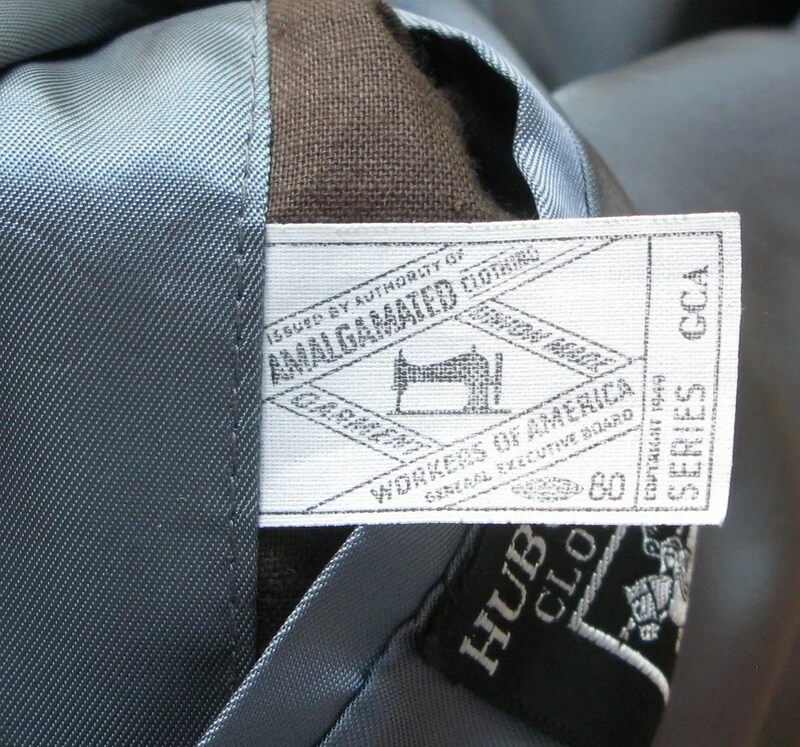 It is half-lined and has an early variant 1949 ACWofA union tag. 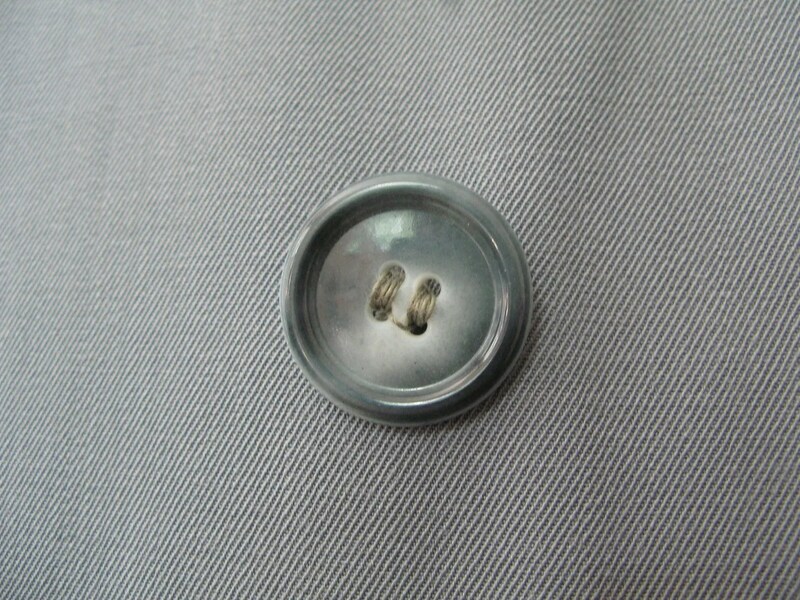 With a chest measurement of 46″ and a standard 6″ drop for overcoats, this would best fit someone who wears a size 40. This entry was posted in Coats and tagged 1949, 1950s, bold look, clothing 1950s, fashion, gabardine, Hubcraft, hubraft, mens, style, The Hub, union tag, vintage, vintage overcoat by Spencer Stewart. Bookmark the permalink.